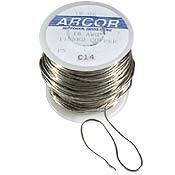 This pre-tinned copper wire comes in various weights. 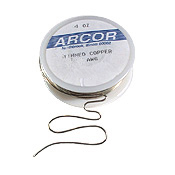 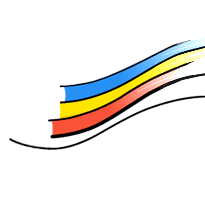 Use it to reinforce the edges of projects such as lampshades, or to add fine lines of detail, like flower stamens and insect antennae to a copper foiled suncatcher. It is perfect for making loops for secure hanging methods for mobile pieces. 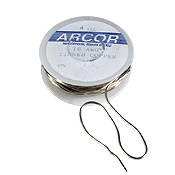 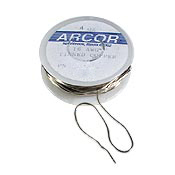 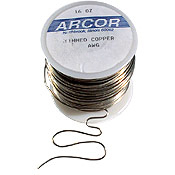 Tinned copper wire is also used in conjunction with decorative soldering techniques, and looks wonderful on jewellery boxes and photo frames.